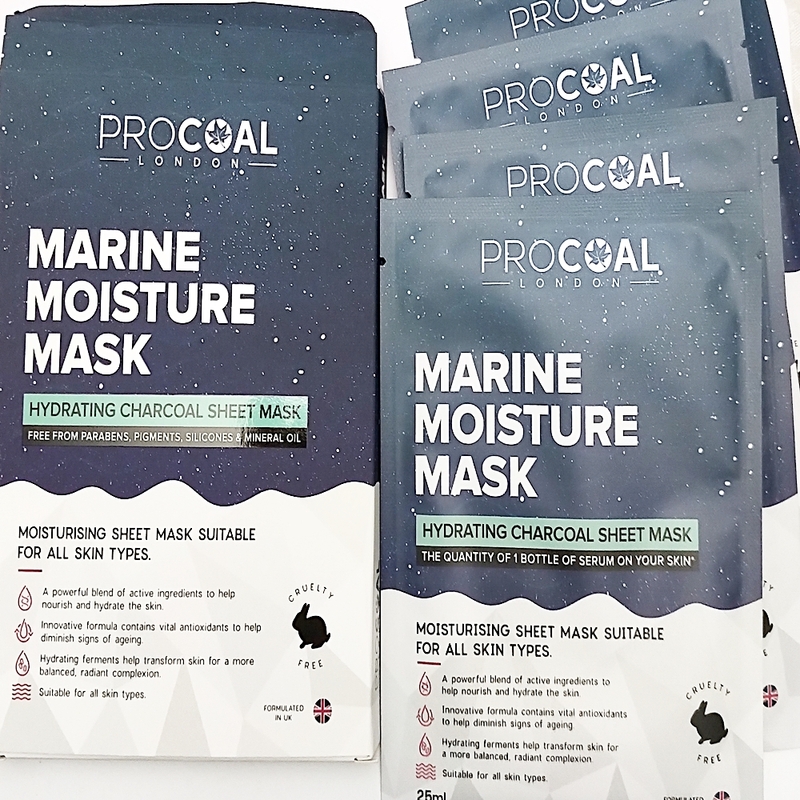 Home / SkinCare / Experience The Procoal Marine Moisture Face Sheet Mask. 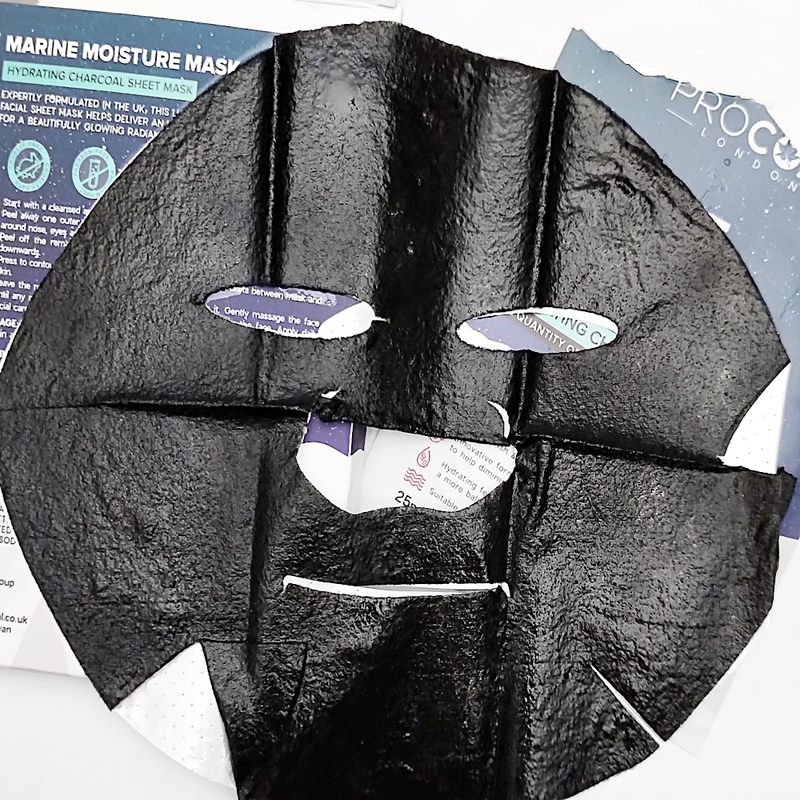 Experience The Procoal Marine Moisture Face Sheet Mask. Sheet masks popularity have grown due to the fact on how convenient they are to use and also on how they can treat the skin, depending on what ingredients they contain. 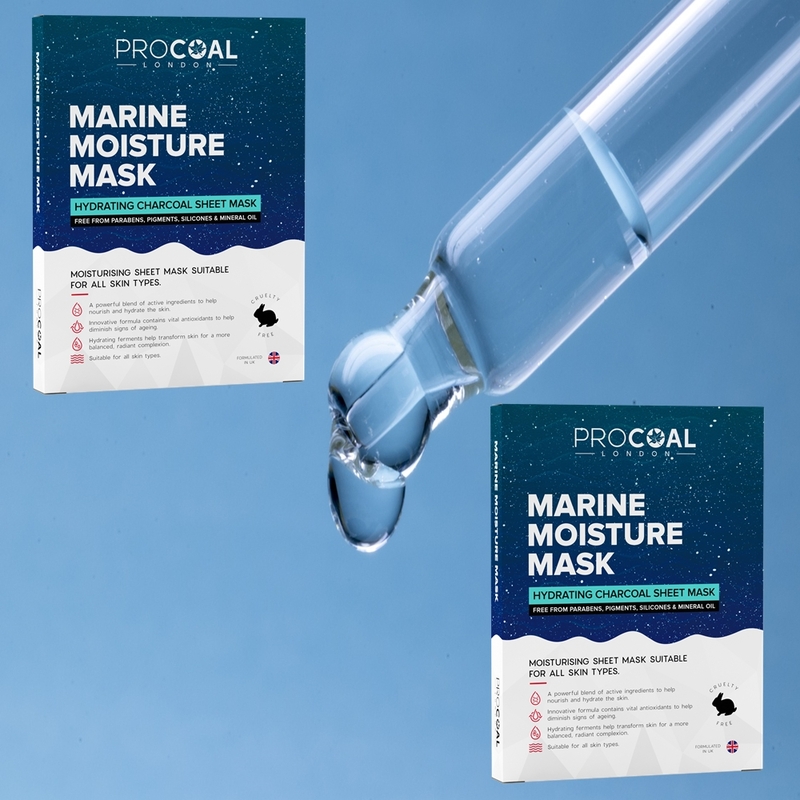 The procoal marine moisture face sheet mask has been expertly formulated to provide a deeply hydrating treatment, yet still be lightweight, helping it be suitable for all skin types. Seasonal weather, central heating, and even using the wrong skin care products can pull moisture away and leave skin unbalanced, resulting in sore, dry, and flaky skin in need of essential hydration. The marine moisture sheet mask is cruelty-free and contains 25 grams of hydrating serum to replenish essential moisture in one treatment. Penetrating deep into the skin, marine ferment has water-binding properties and has been shown to contribute to the repair of the skins surface. Glycerin is a known humectant that attracts moisture to the skin, while also working alongside aloe vera to provide anti-inflammatory, antioxidant, and soothing benefits for all skin types. Lecithin is used in many skin care products because of its powerful moisturising emollient properties, while provitamin B5 is supplied by panthenol that can easily penetrate the skin to provide hydration. To experience and gain the best skin treatment from your sheet mask, it is essential you apply to freshly cleansed and toned, dry skin. Opening up the sealed package and taking the mask out, you will have to remove one protective layer to position the mask on to the face. 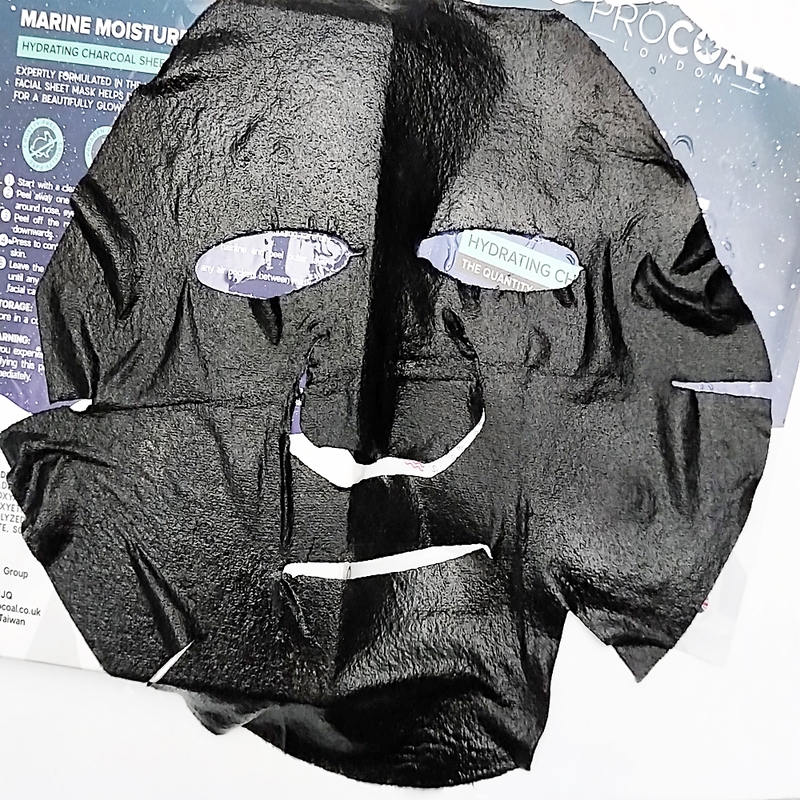 Once the mask is carefully positioned around the eye, nose, and mouth area, you can then fully remove the outer layer carefully to begin your sheet mask experience. It is important to make sure all of the mask is adhered to the skin to ensure a positive experience throughout the 15 - 20 minutes allocated time and setting an alarm is always helpful to be sure the required time has been fulfilled. Taking the sheet mask off, skin feels highly moisturised and hydrated, while it is important to remember that any residue left on the skin can be tapped into the skin using your fingers until its fully absorbed. Applying your moisturiser on to skin after your sheet mask treatment will ensure you seal all the moisture and great ingredients you have just lavished the skin with and stop them evaporating out, while also applying sunscreen if you sheet mask in the morning to protect your glowing complexion. Experience the four in a pack, easy-to-use, marine moisture face sheet mask for your skin care routine that are free from parabens, silicones, SLS, mineral oils and paraffin. X Neil.